A love letter, from me to you. I began Mel in Chanel back in 2010 in my college dorm room. I would take my digital camera, set it on timer, precariously balance it on top of my fashion textbooks and strike a pose. Although I shudder from embarrassment when I remember the low-quality photos (and the outfits) I posted back in 2010, it's become my constant reminder of where I started and how proud I am to have taken this journey. Everyone has to have a beginning to their story, and regardless of how unglamorous (and at times, ugly) mine was, I couldn’t be prouder of my roots. I was the girl who looked and dressed differently. In high school, I felt forced to conform to the popular trends and fought back my own personality and style so much so that it led to depression. By suppressing my style, I began masking my identity behind clothing I disliked. I rejected my personality, my lifestyle… my self. I didn’t know who I was anymore, and whoever I was, I hated her. When I went to college I saw an opportunity to escape who I was and make something new of myself. It was when I studied abroad in Paris that I began to chisel off the plaster that I had hidden behind for over 5 years, and chose to battle some of the insecurities that I had held on to since high school. I found myself guilty of using fashion to mask hurt, to cover up imperfections, or using it as a means to fit in. I had been tricked into thinking that what I wore would disguise the person I was ashamed of, when in reality, I was compromising myself. I began to confuse what I loved with things that I thought I should love or what other people loved when really – I was rejecting myself. I hadn't been willing to accept that I had style and personal differences and that I wasn’t perfect. I guess you could say that my blog was a long road towards healing. Picture after picture, post after post, I began a vulnerable journey publicized on the internet. I had no idea that my vulnerability would allow other women to walk through life with me and understand the importance of fashion, rather than hide behind it. I discovered other women that were battling depression, who were all around the world and hurt the same way I did. I found friends who shared the same skewed self image, or thought very little of themselves. Perhaps you are one of those women. At some point in time, almost every woman is willing to compromise herself because she thinks fashion has rules she must follow or because she wants to hide who she is. I don't believe that fashion is only for models or the socially elite. I don't think someone can be more or less stylish than the next person. I don't think style can be gradable or comparable. I think being fashionable is when a woman takes ownership of herself, whoever she is. I believe that fashion should reinforce the fact that we were created as individuals. My blog has taken me around the world and shown me unmatched beauty, vulnerability and intricacy of women. It has opened up doors that I never imagined myself walking through, and given me a voice to speak to women that are countries away. 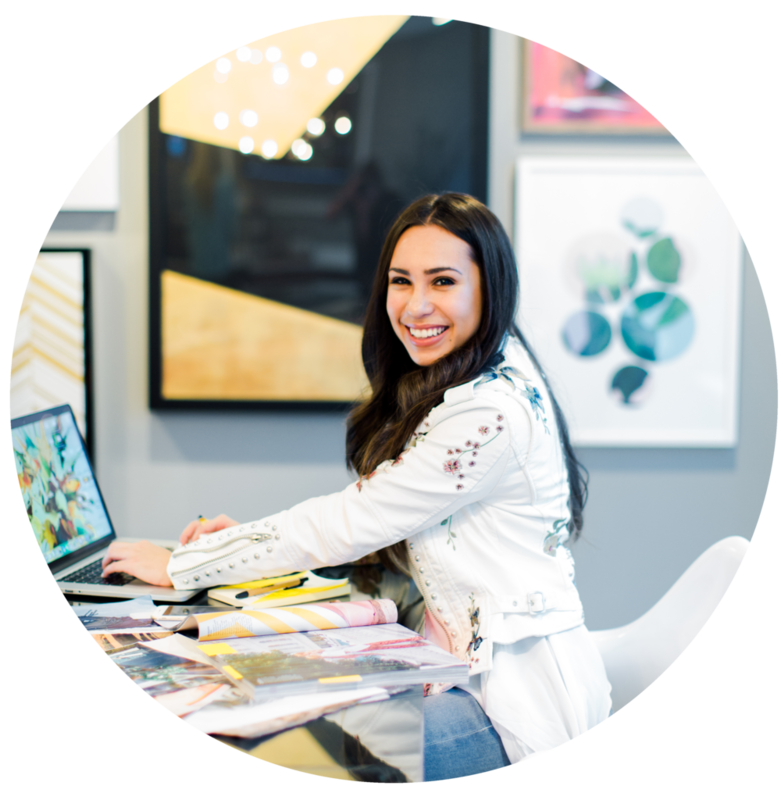 I’ve been able to grow my audience even wider through my styling business that I launched in 2016, which has brought me so much joy as I have worked with you and mentored you one-on-one. I often think back on that girl in her college dorm room, completely unaware of how her brokenness would lead her to her salvation. So desperately trying to fit in, she didn’t realize that all it took was for her to stand out. A ‘thank you’ seems insufficient to express my gratitude towards you. You are what has kept me inspired over the past 8 years. Thank you for your vulnerability, for speaking out and getting to know me, and for walking through life with me. Welcome to Mel in Chanel, my friend.